"Working as an assistant wedding planner at an ex-boyfriend’s wedding, Meha encounters the delectably handsome wedding photographer, Samir. Conceited and a flirt, Samir reveals that the bride happens to be his ex. But when Meha finds out that Samir is using their relationship only as experiential material for his novel, she leads him to believe that he means nothing to her." 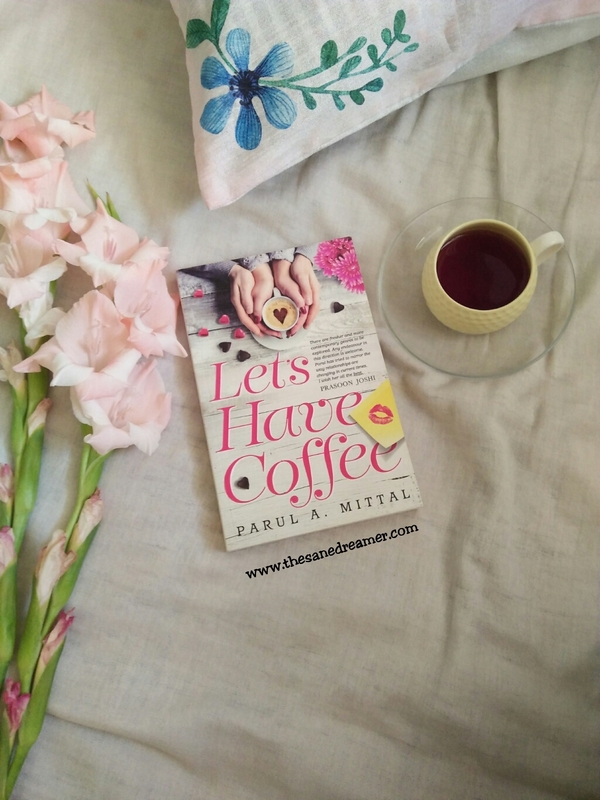 Parul Mittal’s Novel ‘Let’s Have Coffee recounts the story of a girl named Meha who is a wedding planner and as fate could have it, she was called to assist her ex-boyfriend’s wedding. While prepping up for her ex’s big day, she encountered Samir, introduced to us as a flirty and snobbish wedding photographer, who coincidentally happened to be the bride’s ex- boyfriend. Talk about major co-incidence? Spark flew and later a fling follows, until Meha finds out how Samir was using their relationship as an experiment to write his novel, this irks Meha and she had to leave Samir, without his notice. Fast forward to five years…. Fate played its role again and brings both of them together. But, this time it was when Meha was helping Soniya plan for her grand proposal to Samir (yes, that’s exactly what I was talking about). Soniya happened to be Samir’s girlfriend and as the big day approached, it did not go as planned, everything was ruined and Samir realized he still has a thing for Meha. Soniya made Meha pay for all the expenses of the entire event, especially for the expensive engagement ring that went missing. The only way to pay back the amount of money at the shortest span of time was to take part in a reality show where one has go as a couple. Meha seek for Samir’s favor, as he was the reason for all the dramas. During the phase of the show, both ‘once upon a time lovers’ tries to understand the meaning of love as they fake their relationship for the show. Will the spark light again? Will the 2nd time be lucky for Meha in finding her 'forever wala' love? You will have to grab a copy of “Let’s have Coffee’ to find out. In the meantime you can read my take on the book. “Let’s Have Coffee” is probably a casual term used for ‘Netflix and Chill,’ at least according to Samir, a flirt and conceited male protagonist of the novel. This book gives an interesting take on relationship this days. The plot line is engrossing with some realistic connotation of how some relationship works these days. I liked the fact on how the author managed to allow both the main protagonist to meet at each other’s ex’s wedding. It was kind of dramatic to start off a novel like that. Meha is a lovable character, you are most likely to admire her passion on keeping her career balanced, while Samir is definitely every girl’s dreamy boy. The story is warm, witty and funny with no unnecessary stretch of plot line, which is something I am very particular about. The author’s way of describing the events is in a flow, with usage of simple English. There is also few quoted Hinglish phrases and song lines which in a way was refreshing. Keeping the romance genre alive, the author was able to pull off some of the scene in an apt way. The book was effortlessly written, entertaining, and engrossing which made me finish it in just 2 sittings.